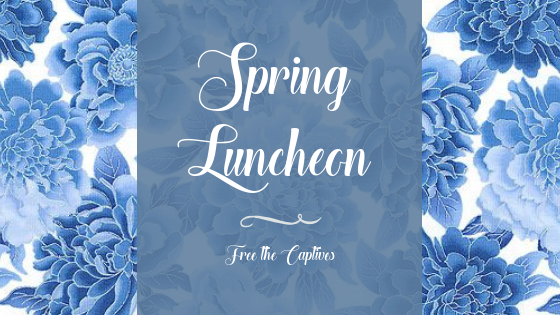 You are invited to Free the Captives’ Annual Spring Luncheon on March 26, 2019 at the Junior League of Houston, 1811 Briar Oaks Lane, Houston, TX 77027 from 11:30 am to 1:00 pm. Our keynote speaker is Jonathan Carr, president of the Christian Brothers Automotive Foundation. Join us in the fight against teenaged human trafficking in Houston. Together, we can make a difference! Purchase your tickets HERE before they sell out or become a luncheon sponsor! Support our Silent Auction Donors who made this event possible!